With the assistance of skilled and dedicated professionals, we offer our clients functionally advanced array of Laminated Foil. This range is manufactured using superior grade aluminum and is widely applicable in various pharmaceutical packaging sectors. Keeping in mind the diverse requirements of the clients, we offer customizing these foils in terms of thickness, grade and material. Some notable features of this foil such as high durability, long-lasting shine and excellent quality, makes them famous in the market. 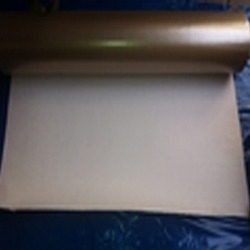 Looking for Laminated Foil ?